"Welcome to The Hangout" of those heroes, villains, and fans, who dare to be the coolest in DC Comics and the coolest on the net. 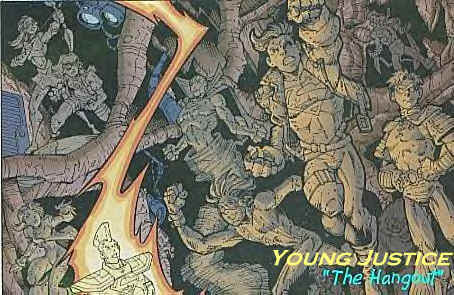 Those who dare to enter the (unofficial) Hangout of Young Justice." 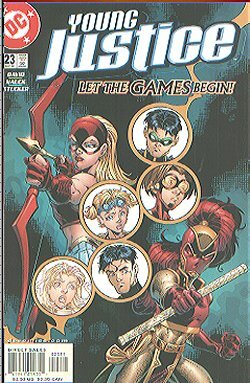 Wonder Girl, Impulse, Lagoon Boy, Captain Marvel 3, Empress, Young Justice: Team 2, more. Plus... there's new art in the Gallery, check out. Sept. & Oct. Previews, News and Covers! Old Justice, The Pointmen, Klarion (The Witch Boy), more..